It’s the most wonderful time of the year! 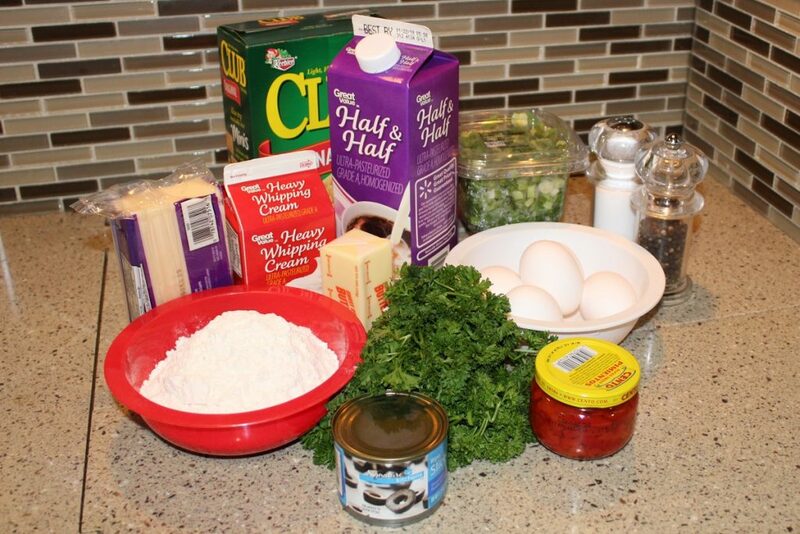 And that means Christmas parties are in full swing and the time to make a special treat is at hand. We’re here in our motor home trying to make the best of things and there are lots of options for holiday delights. 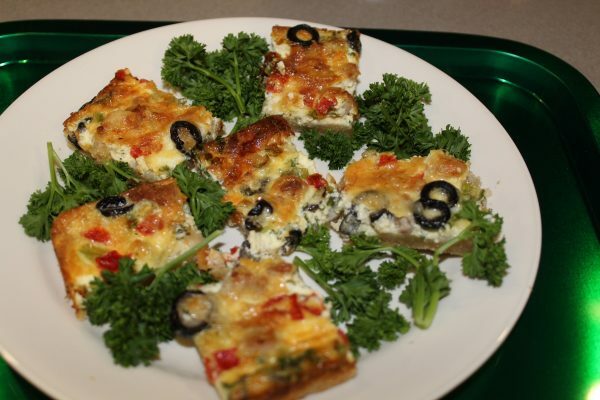 Whether you are hosting a gathering of friends or co-worker or heading over the river and through the woods for a family gathering, I have the perfect 2 bite appetizer just for you! 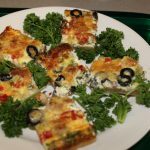 With a yummy peppery herb crust and a quiche custard like filling full of savory veggies, this will be a most requested recipe. Be prepared to hand out copies of this recipe again and again. 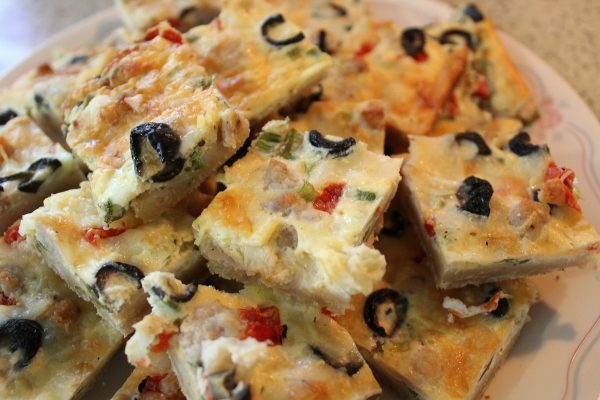 I recently shared some of these scrumptious bites with my neighbors who said they would eat them for both breakfast and lunch despite the fact they are meant as an appetizer. How’s that for a recommendation? Dan and I love them. You can make them up to 3 days in advance and just re-heat the bites in the oven when you are ready to serve. Come on. Let’s go build us some Christmas Party Quiche Bites! 1 Cup Light Cream " Half n Half"
I usually crush crackers in a zip bag using either a rolling pin or a mallet. But lacking those items in the motor home, I gently crushed the crackers using my Pyrex measuring cup to press on the bag of crackers. Worked like a charm! 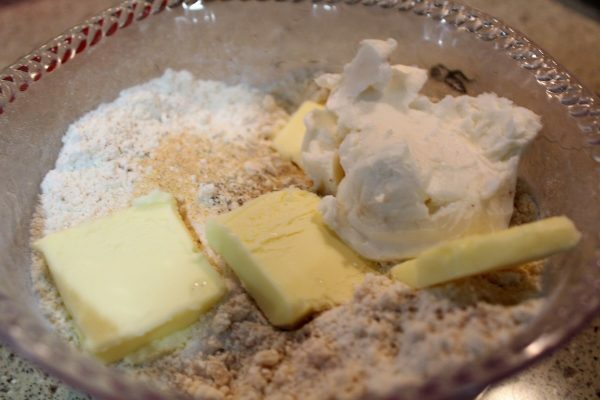 Combine all the dry Crust ingredients in a mixing bowl. Cut in the Butter and the Vegetable Shortening until it has the texture of coarse crumbs. 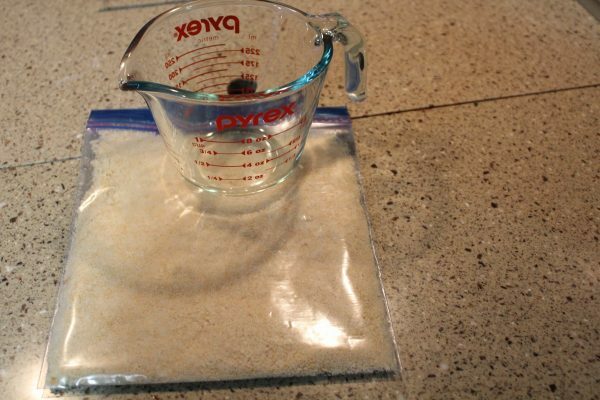 Then add the 1/2 Cup of Water Tablespoon by Tablespoon and tossing after each addition. 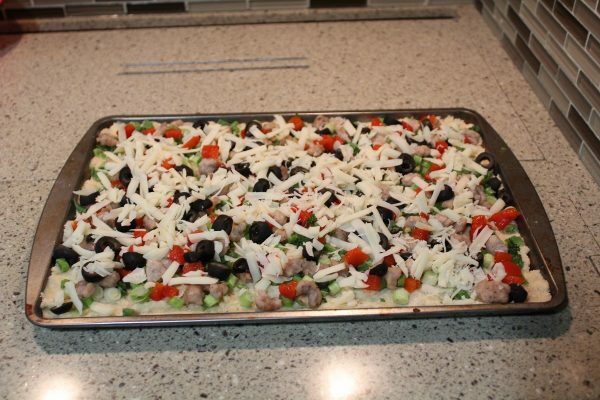 When well combined, press the mixture evenly into a 15x10x1" pan and prick the crust all over with a fork. 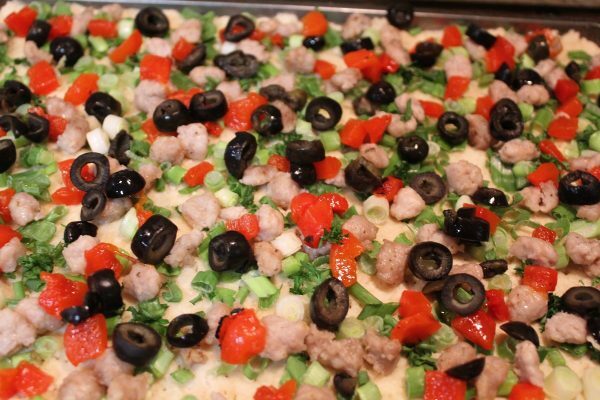 Spread the Swiss Cheese, Sausage Crumbles, Green Onions, Black Olives, Pimento and Parsley evenly over the Crust. Beat the eggs with a fork until combined. Add the Salt and Pepper. Add the Heavy Cream and the Light Cream, stirring until combined. Pour this evenly over the vegetables. Bake at 400° for 30-40 minutes until the filling has set and is nicely browned. A knife inserted into the middle should come out clean. 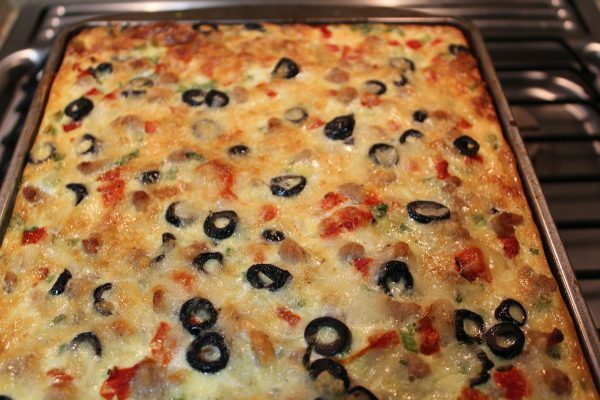 Let cool for 15 Minutes, then cut into small squares about 2x2 inches. Serve warm or at room temperature and stand by to hand out copies of the recipe! So delicious!.